Richard Cosgrove, P.E., has 36 years of experience dedicated to public service, 17 of which have been for two of the three largest school districts in Colorado. He served as the District's Planning and Construction Director for seven years where he supported schools by providing enrollment projections, managing building repairs, modifications and the construction of new schools. Richard also helped facilitate the Long Range Planning Committee and managed the annual publication of the Master Capital Plan. Prior to that, he served as the District's Construction Director for four years during two bond programs. Richard began his career in 1981 upon graduating from the U.S. Air Force Academy. He retired from the Air Force as a Lieutenant Colonel in 2001 after serving in 13 assignments around the world in facilities planning, construction, operations and maintenance. Richard then served as the Director of Construction for Denver Public Schools for six years before joining Douglas County School District. As the Chief Operations Officer, Richard will oversee the Operations & Maintenance, Transportation, and Planning & Construction departments. Richard focuses his attention on serving our schools and the community and is passionate about ensuring that every one of our students receive the best education possible. Richard earned his undergraduate and graduate degrees in civil engineering. He holds a Bachelor's degree from the U.S. Air Force Academy, a Master's degree from Columbia University, and a Ph.D. (ABD) from the Georgia Institute of Technology. Richard is a Registered Professional Engineer (P.E.) in Colorado. 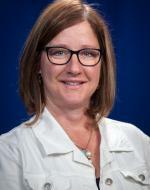 Nancy Ingalls serves as the Personalized Learning Officer. Nancy has worked with special education and at-risk student populations for 20 years in behavioral health agencies and school districts as a Teacher and Administrator. During her 6 years in Douglas County School District she has served as a Dean of Instruction and Principal at Plum Creek Academy, and most recently as a Personalized Learning Director. Nancy holds a Bachelor's Degree in Psychology from the University of Colorado and a Master's Degree in Special Education from the University of Northern Colorado. Mary has experience addressing board governance and policy development, personnel matters, special education and other student related matters, risk management, contract negotiation and review, and, intergovernmental, affiliation and interinstitutional agreements. Prior to joining DCSD, Mary was a Partner with Seyfarth Shaw LLP in the firm’s Chicago, Illinois office. Mary was a special education teacher and gifted and talented teacher and curriculum coordinator in Texas and Iowa for six years prior to going on to law school. Mary has served as chair of the American Bar Association’s Section of State and Local Government Law as well as chair of the Illinois State Bar Association’s Education Law Section Council. She also served on the Executive Committee of the Illinois Council of School Attorneys for over 20 years. Mary received her Juris Doctorate with distinction from the University of Iowa College of Law. She received her Bachelor of Science in Education from Trinity University in San Antonio, Texas. Ted Knight has been involved in public education for 15 years. An accomplished instructional leader, he has held administrative positions at the elementary, secondary, and central office levels. Ted graduated from the University of Southern Colorado with a Bachelor's degree in Industrial Science and Technology with a minor in Education. Additionally, Ted holds a Master's of Science degree in Curriculum, Instruction and Technology, a Masters of Arts degree in Administration and Supervision, and an Educational Specialist degree in Curriculum Administration. His utilization of systems thinking has successfully led to student achievement increases and his coaching of this practice has brought about substantial improvement in several schools across the state. 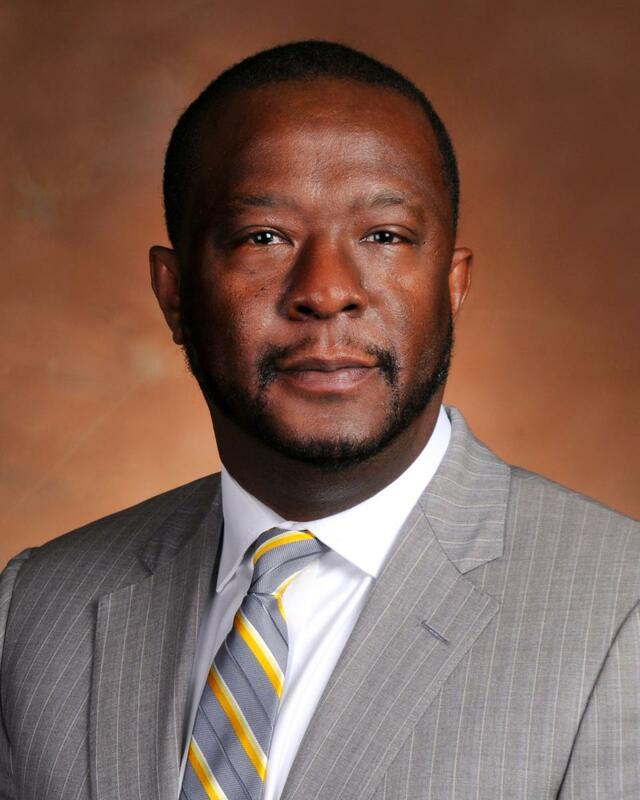 Recognized as a leader in curriculum, instruction, and assessment, he has developed numerous systems to help schools utilize human capital and enhance school practices. Stacy Rader is the Communications Officer at Douglas County School District. As a Parker resident and parent, Stacy is incredibly committed to the success of each and every public school in the Douglas County School District. She strives to ensure each DCSD school has the communications, public relations and marketing support needed to be successful. Stacy has over 17 years of experience in communications, public relations and marketing and 10 years of experience in the field of K-12 public education. Prior to joining DCSD, she was the Director of Communications at the Colorado League of Charter Schools for over nine years. Stacy received her Bachelor of Arts degree in Communications from the University of Colorado at Denver as well as a certificate in graphic and web design from Platt College. Stacy is a Colorado native who resides in Parker with her husband and two children. Matt Reynolds is currently the Chief Assessment and Data Officer for Douglas County School District. Matt has 16 years of experience in education working in Alaska, Arizona and Colorado as a teacher, counselor and coordinator. Most recently, Matt has served DCSD as a math curriculum coordinator with World Class Education. In each of these positions, he has served as an advocate for students and is passionate about helping students reach their potential. Matt has a Bachelor's degree from Montana State University in Secondary Education with emphasis in Science Education. He also holds two Master's Degrees - One in Educational Leadership from Northern Arizona University and one in Counseling from the University of Southern Mississippi. Gautam has over 18 years of Information Technology experience. In those years he worked as a technology consultant for companies like Verizon and Johnson & Johnson prior to joining New York City Department of Education (NYCDOE). It was at NYCDOE he discovered his passion for solving deeply complex educational and operational problems using technology. During his 8 years at NYCDOE he managed various IT projects impacting the 1.4 million students and 1,600 schools. He then moved from the largest school district in the US to Atlanta Public Schools (APS) to work in an urban environment with significant equity issues as it relates to technology. He holds a Bachelors in Computer Science from Delhi University, India and a Masters in Business Administration (MBA) from Emory University, Atlanta. Scott Smith is the Chief Financial Officer for the Douglas County School District. Prior to his current role, Scott was the Director of Budget for DCSD for nearly five years. Scott initially began his career in public education at Denver Public Schools as a Senior Financial Analyst where he supported schools and departments in managing their budgets and assisted leaders in maximizing their purchasing power for the benefit of all students. While at Denver Public Schools, Scott launched a new team focused on long term financial planning and strategic use of the district's resources. As the Senior Manager of Financial Planning and Analysis, Scott and his team were responsible for all district-wide financial analysis and forecasting. Scott began his career as an Analyst at the Denver-based investment bank St. Charles Capital. While at St. Charles, Scott focused on mergers and acquisitions advisory services in the Healthcare and Technology Industries. 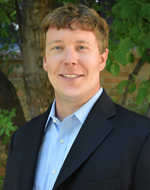 Scott holds a Bachelor of Science in Business Administration with an emphasis in Finance from the University of Colorado at Boulder and a Master of Business Administration (MBA) from the University of Denver. Amanda has five years experience in school district human resources, plus 14 years experience as an educator and school administrator. Amanda joined Douglas County School District in December 2017 as the Human Resources Director. But even then she wasn’t new to DCSD. Amanda’s career in K-12 education started right here in our district. Amanda was a student teacher, teacher and special education EA at Trailblazer Elementary School. She also completed a leadership cohort in DCSD, which allowed her to earn her principal certificate. Amanda continued her teaching career in our neighboring Cherry Creek School District. She went on to teach for one year in Gilbert, Arizona -- then returned to Cherry Creek to become an assistant principal, and then principal. Five years ago, Amanda joined the Human Resources team in Cherry Creek School District, where she most recently served as their HR Director. Amanda holds a Bachelor of Arts degree with an emphasis in Behavioral Science from Metropolitan State University and a Master of Arts Degree in Administrative Leadership Policy Studies from University of Colorado. In addition, Amanda also holds both an Elementary K-6 teaching license and Principal license through the Colorado Department of Education. Marlena Gross-Taylor is a dedicated and successful education leader with a proven track record of improving educational and operational performance through vision, strategic planning, leadership, and team building. Marlena’s educational experience spans several states allowing her to have served K-12 students in a variety of settings. Because of her sound knowledge of both elementary and secondary education, Marlena has broad-based experience creating and implementing dynamic interactive programs to attain district goals while leveraging her flexibility, resourcefulness, and organizational and interpersonal skills to foster learning through a positive, encouraging environment. Marlena’s curriculum and professional development expertise has garnered national attention as she has supported school districts and leaders across the country. Marlena is a seasoned presenter keynoting national and regional conferences and delivering dynamic professional learning sessions. Prior to joining DCSD, Marlena served as a Director of Secondary Schools for Maury County School District in Columbia, Tennessee. She has also been recognized as a middle school master teacher and innovative administrator at the elementary, middle, and high school levels. Marlena is a member of the National Association of Secondary School Principals (NASSP), Association of Middle Level Educators (AMLE), Association for Supervision and Curriculum Development (ASCD), International Society for Technology in Education (ITSE) and the National Education Association (NEA). Marlena earned her Bachelor of Science in Psychology with a concentration in adolescent behavior from Louisiana State University. Her Master’s in Educational Leadership and Administration comes from Jones International University.